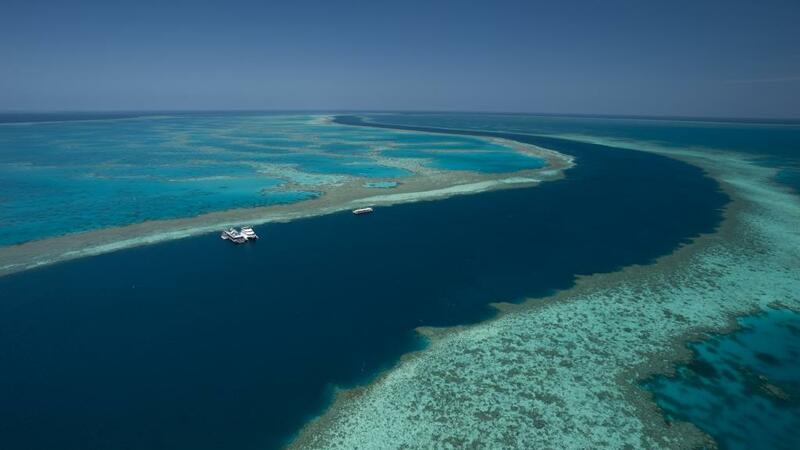 On Thursday 13 July, Twitter took users on a guided tour of the Great Barrier Reef, broadcasting the World Heritage listed natural wonder life on video streaming platform Periscope. In two separate broadcasts, Twitter users were able to tune into the reef live and learn about how they can help to protect it. Travel broadcaster Mitch Oates joined marine advocates and experts as part of the video streaming which included an interview with Andy Ridley, CEO of Citizens of the Great Barrier Reef while on a boat out on the reef. The first broadcast from 12.30pm AEST focused on the work of Ridley, former founder and CEO of Earth hour. Establishing Citizens of the Great Barrier Reef, Ridley’s social movement has united people from around the world to fight the stresses on the planet’s biodiversity, specifically learning about and caring for the Great Barrier Reef. Oates interviews Ridley about how the stunning natural site can be cared for for future generations. The second broadcast from 2pm AEST was a live reef dive, with Oates taking his diving mask and GoPro underwater to broadcast the reef to the world. Using a specialised scuba mask he was able to answer users questions about the reef while diving through the unique coral ecosystem. The Great Barrier Reef Periscope Adventure was supported by Tourism and Events Queensland. CEO Leanne Coddington said "the Great Barrier Reef is a living treasure which is ours to protect and share with visitors from around the world. It is our most valuable tourism asset with around two million visitors experiencing it every year." “The Periscope Adventure will showcase the underwater wonder and allow people to engage with the Reef in an entirely new way, thanks to technology” she said. According to Twitter, there is already a strong community of reef activities and marine biologists active on the platform, making it an ideal place to promote awareness of the reef’s health. Twitter Australia Head Suzy Nicoletti said "Twitter, like no other platform, has an incredible way of breaking down barriers to participation, and of creating connections between people and places. For this project, the Periscope broadcast becomes a literal underwater periscope, to connect our audience to a truly exotic place." "The Great Barrier Reef Adventure is just one small way to raise awareness of the reef around the world and inspire everyone, no matter where they are, to preserve this site for future generations to enjoy" she said.